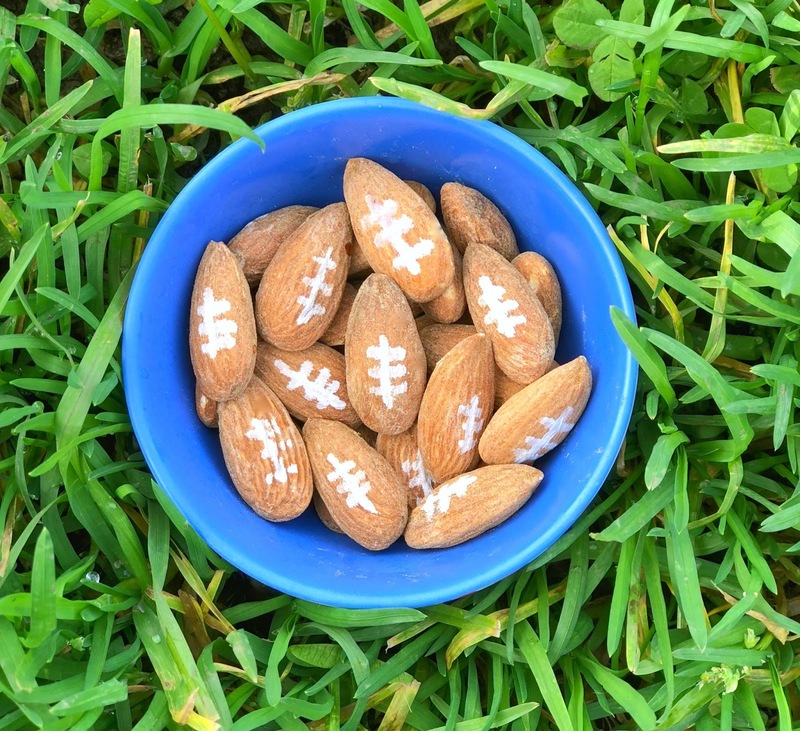 it is hard to resist all the fanfare of the Super Bowl! 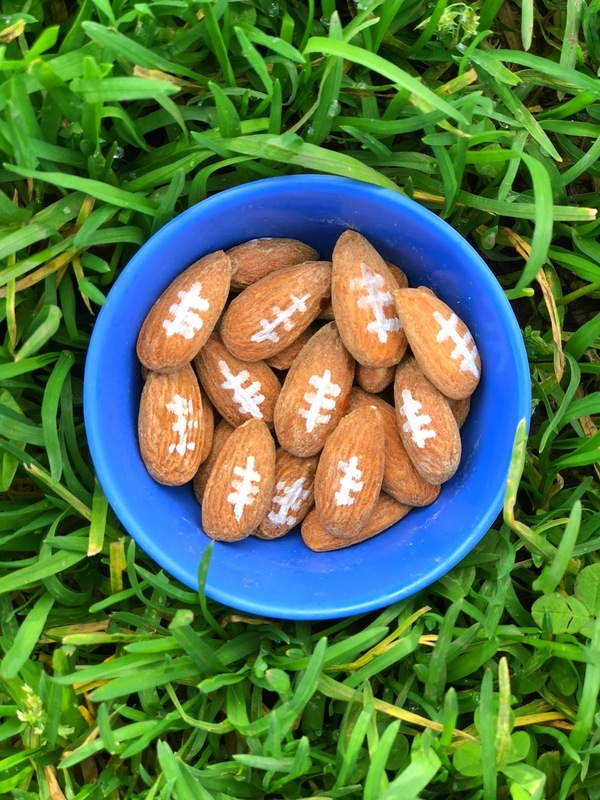 The easiest snack I am making for the game? 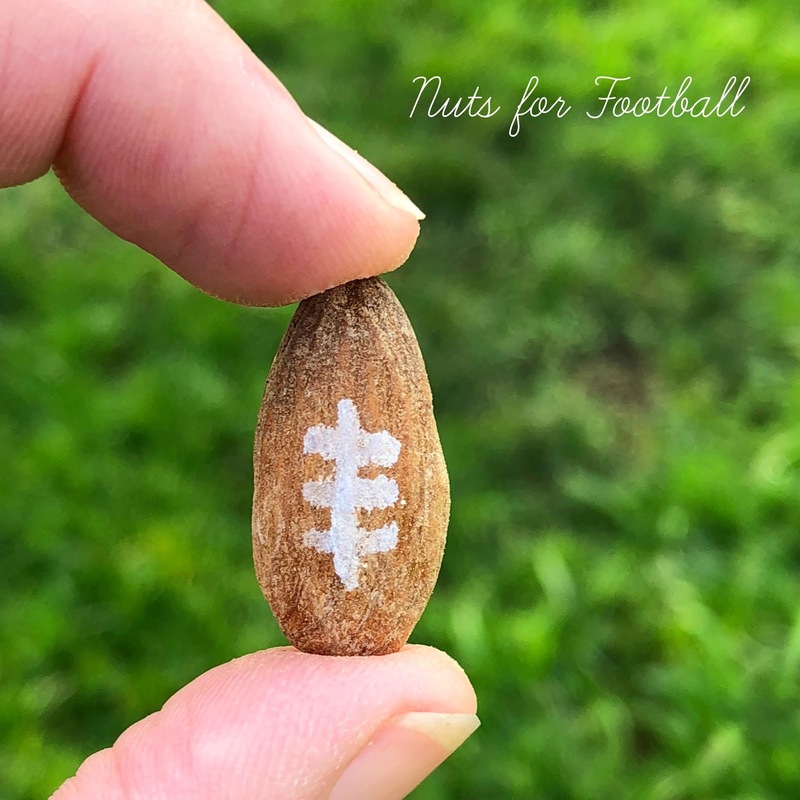 Simply lace up your almonds with an edible white marker and you are done.